“Now Deborah, a prophetess, the wife of Lappidoth, judged Israel at that time. The well-being of people, helping them to find their wings and teaching them to fly is Elsa’s passion, calling and purpose. She strongly believes we were all created to fly. We have somehow forgotten how, have lost our wings or found them to be cut. Her heart beats for making people realise who they truly are in Christ Jesus. She motivates and inspires all to reach their full potential and success or simply helps them towards healing. She is legally and professionally qualified for her position and honours the ethics around it with sincerity. All her sessions are Holy Spirit inspired and therefore result driven. Life is not easy, and it is her duty to offer people the opportunity to LIVE a happy, free and fulfilled life in Christ. 12 Let no one despise or think less of you because of your youth, but be an example (pattern) for the believers in speech, in conduct, in love, in faith, and in purity. 13 Till I come, devote yourself to [public and private] reading, to exhortation (preaching and personal appeals), and to teaching and instilling doctrine. 14 Do not neglect the gift which is in you, [that special inward endowment] which was directly imparted to you [by the Holy Spirit] by prophetic utterance when the elders laid their hands upon you [at your ordination]. 15 Practice and cultivate and meditate upon these duties; throw yourself wholly into them [as your ministry], so that your progress may be evident to everybody. 16 Look well to yourself [to your own personality] and to [your] teaching; persevere in these things [hold to them], for by so doing you will save both yourself and those who hear you. She runs her coaching business on the above bases and is constantly reflecting and growing. God our Father, created her to be a lighthouse and she received her new name, Deborah on 10 July 2018, after completing her own healing on the farm she grew up on. 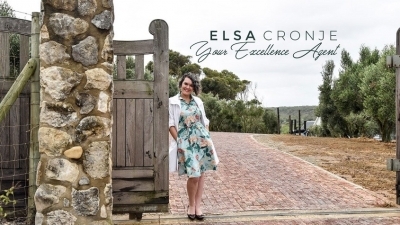 Why choose Elsa Cronje as your Change Agent? She is 100% committed towards your happiness and will fight for you, often against yourself. She truly believes EVERYTHING and ANYTHING can change, heal or grow… THUS it’s NEVER too late. She practices what she preaches – she is a 100% congruent. She functions with supreme integrity because her responsibility is towards God our Father. She’s brutally honest ALWAYS leaving you knowing the truth. She values your privacy, worth, personality, point of view and guides with compassion, empathy and respect. She is trustworthy, fair, open-minded, inspirational and motivational. She leads you to find your own ‘compass’ to live your life by. B.A – Human Science with Communication & Industrial psychology as majors. – Certified Master Practitioner of Neuro-Linguistic Programming.